Shortly after Jeff Busby published my first book, THE BREAKTHROUGH CARD SYSTEM in 1983, Ken Krenzel showed me an effect to use with the stack. Ken's ideas are always wonderful and I promptly began using his idea. Since then, the trick has evolved to its present state. I consider it one of the strongest card effects I perform. It's all in the handling of the spectator. I teach you Card Magic with a regular deck of cards, purposely avoiding effects which require specially printed cards. I want you to know how to perform with an ordinary deck so that you are ready for impromptu work, for emergency work. You can add fake cards to your work later on, if you desire to. They are not difficult to obtain. But right now, I want to feel that you are learning real Sleight of Hand with Cards and have the ability to take your place in the field of Card Magic as a real Sleight of Hand performer. Most magicians know the card trick where a selected card is replaced in the centre of the pack, the pack is riffled and the card shown to be on top, having apparently been pulled right through the pack. Of course, the secret is that you made a Pass and brought the card to the top. The effect of the trick I am about to describe is similar only the selected card is returned to the centre of the pack face up. The right hand with the palmed card leaves the pack showing the selected card face up on top. As you show it, remark, This trick can only be done with the Nine of Hearts - or whatever card it happens to be. As you say this flip the face up card face down while leaving the palmed card secretly on top. Bottom Card, The You will guess the bottom card without even looking at it or so your audience thinks so Creative trick for young card trick peformers Easy to do, very basic card trick Turn Around Card Trick, The Main Page Card Trick Type Index Master List Card Trick Terminology Submit a Trick Exclusive Offer Search this Site Card Trick Central Bookstore Easy Tricks Intermediate Tricks Hard Tricks Other Tricks Sleights Magic Notes Links Help Awards Amazon.com, Earth's largest bookstore which offers more than one million titles, in cooperation with Card Trick Central present to you the Card Trick Central-Amazon.com Bookstore. 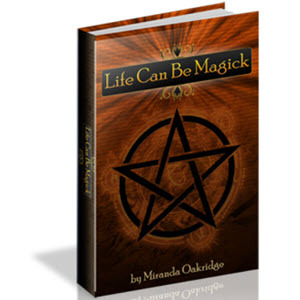 Through this service you can order card trick videos, books, magic books and other items and have them delivered right to your door. Amazon.com Books delivers excellent customer service and a range of shipping options to both U.S. and worldwide customers. But don't take my word for it. The tricks in this chapter use cards that are torn or folded. This may seem a slender premise on which to base a chapter, but topological card tricks represent an offbeat approach that generates surprising and different card effects. 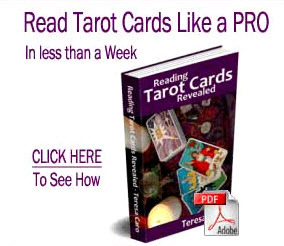 Most topological card tricks requite gimmicks or manipulation that lie outside the scope of this book. The tricks in this brief chapter have been chosen because they are easy to perform and provide something of the flavor of this unique area of card magic. Place the deck face down on the table. Point out that it's possible that you could know the top and bottom cards of the deck, so ask him to cut off about one-third from the top and lay it to one side. Now tell him to cut off about half of the remaining cards - look at and remember the BOTTOM card of this section, then to give the packet one or more straight cuts to lose his card. I was going to let this manuscript of card tricks fall through the cracks until I received a letter from Mr. Gordon which included what appeared to be an ad for the book. This ad contained some glowing endorsements from some well-known magicians, and, fearing that there would be some of you who would see the ad and be influenced by it, I felt that I must offer a dissenting view. This book gives the newest card tricks and sleight-of-hand yet offered to professionals and amateurs Not only does this book contain all the new tricks, but nearly every one known is fully explained and exposed by explicit directions and carefully prepared illustrations. Eighty fine illustrations. He seems to have the knack of creating outstanding card routines which require little or no technical ability, and which avoid the cumbersome mathematical methods which plague so many self-working card tricks. In his new book Effortless Card Magic, Peter offers us 70 routines which provide maximum impact for minimum effort. There is enough material here to keep a budding card man happy for a long, long time. 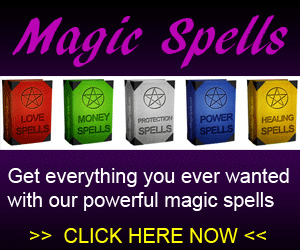 But, don't shrug off these tricks just because they don't depend on muscle magic. 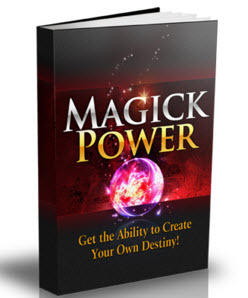 You'll find tricks in here which will smoke both laymen and your pals at the magic club. Highly recommended, especially for those who are just getting started in card magic. Show a book of matches, open the cover and place it on the table with the opening towards the audience. (See Photograph 1) This book of matches is going to be used as a card easel. I first came across this idea in Expert Card Technique, p. 413. Later, I found the idea used again in one of Kartell Fox's early books. The spectator will not accept this statement and will say that the card is at the bottom of the pack. 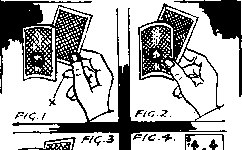 To disprove the assertion of the spectator the right hand picks up the pack and shows the face of the bottom card. The right arm lowers and the left hand now takes the top card and shows that this too is an indifferent card. At this offbeat, the right hand performs a single hand top palm whilst the left hand comes across and takes the pack away. The right hand now with the noted card concealed enters the right hand trousers pocket only to emerge with the previously palmed card at the fingertips. 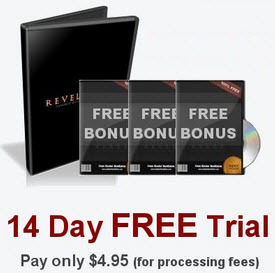 Have a card freely chosen, returned, and, by means of the pass, pass substitute, or your favorite method, bring it to the top. By the double lift show that the top card is not the chosen card. Let the two cards remain face up and turn the deck over. Show that the bottom card is an indifferent one also. The palmed card can be slipped to the bottom under cover of squaring the deck, or it may be left on top of the chosen card in the action of turning that card face down. 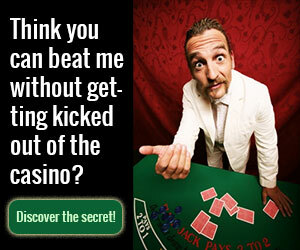 In the latter case you are ready to continue with the routine moves of the favorite Ambitious Card trick. An effective move that is sometimes used in conjunction with the three card trick is known as the Mexican Turnover. This is by no means a difficult sleight once the correct position of the cards involved is acquired. The effect, which I will briefly describe, is known to all card magicians. The Mexican Turnover is a useful move when acquired and apart from its value in the three card trick, it has other uses in card effects. An impromptu item I often perform in this connection comes to my mind. This is a magical transposition of two selected playing cards. Two freely chosen cards are placed face upwards on the table a short distance apart. 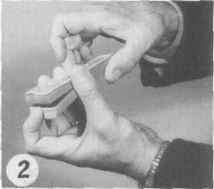 The performer then takes any card from the pack and holds it between the right thumb and forefinger (position Fig. 1). In this case, however, the card is held face upwards. I will again suppose the selected cards to be a queen and the eight of clubs and that the card in the performer's hand is an ace. As you are speaking, carry out a Klondike Shuffle. Briefly, take the packet in right-hand Biddle Grip (figure 2). Your left fingers and thumb pull off the top and bottom cards together (figure 3) and drop them on the table. Pull off the top and bottom cards again and drop them on top of the first pair. Continue doing this until all the cards are in one pile on the table. Try to keep the pairs of cards as neatly together as you can while pulling them off the packet because at one point both selections will come off together. However, you do it while looking at and talking to the audience. It is written in a similar, humoured manner to my first book, Four Professional Card Tricks. This new book will teach you some really great card magic - CRAZY MIXED UP POKER. My best self-working card trick. The spectator shuffles and cuts the pack. Winning hands are still dealt. This is a spoof demonstration of card sharping, crammed with comedy and laughter. The Three Card Trick can suitably be termed a classic everybody has heard of the effect even if they may not have seen it performed. I propose describing to you the trick in detail. It is not, as some people imagine, a matter of extreme rapidity in its presentation. The false throw of the top card from the two held in the right hand can create a perfect illusion if the cards are held in the correct way. In order to describe the effect from the start the performer first removes three cards from the pack. I personally use a red queen and the seven and eight of clubs. These cards are squared up with the backs uppermost and then bent inwards lengthways they are next placed in a row on the table, the queen in the centre. This is shown in Fig 1. EFFECT Three cards are removed from a small envelope which can be examined and are displayed to reveal a QH and two AC's. The performer explains about the famous three card trick in which a spectator would be invited to bet money on where the Queen is. Today, however, the tables are about to be turned, as it is the performer, not the spectator, who will be asked to risk his money to find the Queen. COMMENTS This table hopping routine is a variation of my effect Credit Scare, which is detailed on page 104. I wanted a 'three card trick' effect which was easy to do and re-set and which had a surprise finish and this is the one I came up with. It is quick and to the point and magically very effective PRESENTATION Slip the band off the envelopes and lift off the top one, removing the three cards from inside. Replace the envelope on top of the pile and place the pile down on the table. Show the three cards and explain about the three card trick. Put the cards face up on the table. To carry the key on top of right hand portion. This way the wide end is on right side and no trouble is experienced in making this card the last card of the shuffle. These left and right actions become important when dealing with multiple Stripper Short cards. Note that the accordion condition of the deck is retained thus the cards are in a separated condition. If you now shake the deck slightly, the Stripped Short card will fall out at bottom end. This in itself is a good effect however, to use it as a control this card is let fall onto tops of left fingers. At this stage the student may feel that I have gone far afield from the subject in mind which is Riffle Shuffles however, a complete understanding of the actions of the Stripper Short Card will enable one to handle Multiple Stripper Short Cards with more confidence. The next pages will deal with that phase. Now I want you to try Lo follow Lhe joker. It's a sort of three card trick wiLh four trick cards. To begin, I shall put Lhe joker Lhird from the top. Fan Lhe face-up packeL in Lhe lefL hand and place Lhe joker second from Lhe face. Then, beginning at the rear of the fan, touch each card as you count iL One, Lwo, three. Remember, the key to perfection is practice. At first it's very hard to keep the two cards together, but eventually you'll figure out your own personal way to grip the cards and push them over. 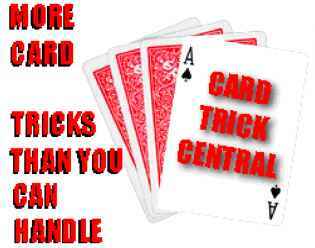 This sleight, as you will see, is the basis for several advanced card tricks. Card tricks that are performed while the magician is blindfolded make a particularly profound impression upon laymen. For this reason it is a good plan to include one such trick in a routine of card tricks. 1. Ask someone in the gathering to assist you, and when you have a volunteer place him on the left side of your table while you stand behind it. Have him shuffle the deck, and when you take it back glimpse the bottom card. Let us say it is the four of spades. Force this card upon your assistant, preferably using the classic force or the one-hand force, and have him show the card to all present. You now turn over the top card to show the Ace. In turning it down you execute the Turn Down Palm. The right hand takes the remaining cards and drops them in their original position on the table. The right hand, with its palmed card can add the Ace to any packet desired by the mere action of scooping that packet up off the table. The right hand takes deck while left hand drops to side with palmed cards. 5. The right hand comes back and again takes the deck by the lower right comer, thumb on top, fingers below, but this time due to the Fall Away Action of the bottom cards, the right fingers can enter between the deck and the cards to be stolen by left hand. The Q and 8 of Hearts and the 7 of Clubs, in any order, are placed in the middle of the pack. One of them is forced, a very simple matter. The selected card has then to be returned to the pack so that it will be the twenty-first card down. A short card may be used to ensure this or a count made as the cards are spread for selection and a break held below the twentieth card. False shuffling before and after will add to the effect. Tell the volunteer to pick a card from the lower half of the deck and look at it. They should then put it back on top of the bottom half. While they are looking at their card, look at the bottom card on the top half of the 3. Join the two halves of the pack together, and then shuffle by taking some bottom cards and putting them on the top(make sure not to seperate the four of dimonds from there chosen card). cards. Take the pack back and turn it on its side. Glance at the bottom card. 3. Bring the pack back in front of you and name the bottom card you saw. Show the audience the card on the original bottom, making sure they can't see the other side (which is the opposite way around). While you are naming the card, remember the card on the other side of the pack. Turn the top card face down in the same manner that it was turned face up. It will be noted that the right hand automatically comes over the top of the deck during the turning of the top card. It is when the card is turned face down that the palmed card is released onto the deck as in Figure 34. 5. The right thumb immediately swings to the inner end of the deck. The right hand grasps the pack from above and the forefinger curls on top. Turn deck face up and remark that the bottom card is also not the selection. 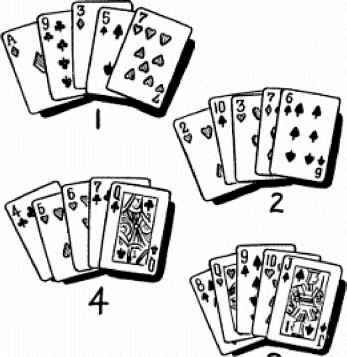 The right hand, which has the palmed cards, takes the pack from the left hand and starts to place it on the table. Apparently seeing something on the table he replaces the pack into the left hand. At this point both hands will again be in the Basic Replacement position. 3. The left fingers pull the palmed cards onto the pack and at the same time the left hand turns palm downward. The right hand immediately, with the turning of the left hand, moves to the imaginary speck and brushes it away. When the time comes to force the number introduce the pack, take off the three bottom cards and stand them, faces outwards against a book, a glass or any other object, remarking that they will be used as indicators. Hand the remainder of the pack to be thoroughly shuffled. Observations may be in order here on the Angle Palm Steal. 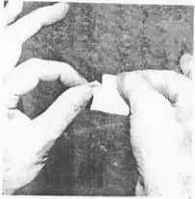 Several mentions have been made of moving the right thumb against right forefinger in order to Flat Palm the card. This is only possible if the upper right corner of the Angle Palmed card starts from the third joint of right fourth finger. That is, the card is more forward to the fingers as in Figure 19 which shows a left side view. Let it be assumed that the cards have either light or dark edges according to the way they are facing. Look for the longest run of either light or dark edges, this group will be referred to throughout as the 'run'. If the desired run does not show up cut the cards and this may bring about the desired result by bringing the top and bottom cards together in the middle. At this point, you have two alternatives open with the remaining 26 cards. One, you can do a 13 card Faro Check. Or Two, note the bottom card, overhand run shuffle 13 cards from top to bottom, then throw the rest of the cards onto them. Cut at the noted card to give you two packets of 13 cards each. 8. Have two other spectators pick up the other two packets. Each shuffles his packet, then notes the bottom card after which their packets are dropped onto the first two assembled. 11. Thumb count or Buckle Count the bottom three cards and get a break above them. Double Cut the three bottom cards to the top. The right hand now swings its cards to the left thus bringing the bottom free portion of the deck in line with the angle-jogged Aces as in Figure 56. Here you will note that the bottom cards are in line with the jogged Aces but as yet the right thumb has not released its cards to fall flush onto the bottom portion. Once the bottom cards are in line with the Aces, the rest of the deck is released or lowered by the right thumb. A volunteer assistant now is given the book and deck of cards. You turn your back. He is told to cut the deck once or twice and then cut it into two piles. Next he is asked to take the top and bottom cards of each pile. You remark that the picking is made as mixed up as possible. It will be seen- that with the arranged deck and the adding together of the top and bottom cards of two cut piles, the total can be only 28,29, or 30. And, the tenth, eleventh, and third words, respectively, are all that can be noted by the spectator. A handkerchief is borrowed and immediately spread over the right hand, thereby concealing the palmed card. The pack is now placed face upwards, on the center of the handkerchief, by which means it is brought immediately over the concealed card. With the left hand take the case from under its covering, the selected card is thus drawn completely out of the case and, lies face up on the right hand. Put the case on the handkerchief just above the palmed card, throw the front part of the fabric back over the case, twist the sides so that they retain the card outside at the rear, gather up the four corners and hold them in the right hand. The chosen card is then named and ordered to penetrate the case and the fabric. A gentle shake of the hand will gradually bring the card into view. It is only necessary that you secretly note the bottom card of the deck before the trick begins. This can be done under cover of the excuse that you want to check that the deck contains 52 cards. Simply glimpse the bottom card while you count the cards. The glimpsed card becomes your key card. The spelling must be done exactly as described above. Master the details of this fine routine and you will have in your possession a truly baffling card trick. The right hand, with its palmed card, returns to the table and rubs away some imaginary speck with the fingertips, Returning to the deck, the right hand can now take it, at the extreme ends, in the Top Pam position. The pack is lightly slapped on the table as the right hand moves away with its palmed card. This is card magic of the highest caliber, and for that reason will be of most interest to intermediate and advanced card magicians. Ascanio's explanations (and Eric's translations) are the for the most part clear and understandable, although every now and then a move will slip by without a full explanation by Ascanio. This can be confusing, because Ascanio's handling of double cards is so superb that it's impossible to tell which card(s) are the doubles. You can figure it out, but you'll need to hit the rewind button a few times. Like the Tamariz videos, The Magic of Spain - Ascanio allows us to spend time with another of magic's great thinkers, one who also knew that art is in the details. Master the sleights and finesses presented here, and your card magic will be elevated to the highest level. Highly recommended. You probably associate the name Ed Marlo with card magic, and indeed, Ed was a prolific creator of card effects and sleights. But Ed was interested in all facets of magic, and published a large amount of non-card material. Jon Racherbaumer has assembled, rewritten, and annotated this material, and the resulting collection contains a wealth of routines for standard props that you probably already own. The book is divided into two sections Card Magic, featuring six routines and two very visual card changes and The Expert's Turn to Deal, featuring five really fine gambling routines and Jack's method for stacking cards using an overhand shuffle. My favorite routines in the Card Magic section were A Dance for the Devious, in which four queens vanish one-at-a-time and then make a flash reappearance Steppin' Out with Molly, an extremely commercial Three Card Monte routine with some great magical surprises and A Potent Presage, in which the spectator finds the mates of three predicted cards, followed by an unbelievable kicker. The most amazing thing about this routine is that it is completely sleight-free. It will also fool anybody - magician or layman. Solutions is a booklet containing eight tricks. These are mostly close-up, but a couple of them would be suitable for stand-up situations. There are coin tricks, card tricks, tricks with credit cards and paper money, plus the instructions for the above-mentioned Diary of a Nobody trick. As I said, if you want the diary thing, I suggest you buy the Solutions booklet and put together the trick yourself. Not only will you save 28 bucks, but you'll get seven other tricks to play around with. Place the packet of nine cards into left hand again and draw right hand with palmed cards away toward trousers' pocket. Figure 22. The effect is that you have transferred packet of cards to right hand and turned it over so that audience could see face of bottom card. Audience is absorbed in watching spectator who is reaching into your pocket and may not even see this move at all. Bring right hand out of pocket with palmed card and place hand behind left knee. Be careful always to have back of hand to audience when you are palming cards. As you say this, reach up behind left elbow and bring out palmed card with finger tips and thumb of right hand. Place card on table. Before the audience has fully recovered from the effect, the mage turns to John. I will not attempt to perceive a thought from your mind as I did with Susan. Instead, we will continue to invoke the pure creative power of your IMAGINATION. 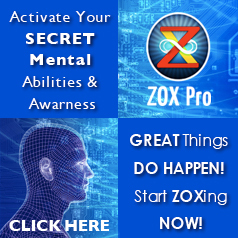 You will now visualize an event and that exact event will come to pass. Close your eyes please. Visualize me saying the name of your imaginary card. Imagine the words coming out of my mouth. We have this slip of paper to confirm what is about to happen. Can you picture it happening Good, look at me The instant John opens his eyes, the mage pronounces, Jack of Spades. John smiles, the mage opens the tabled slip for final confirmation. For our opening installment I emailed that diabolical Scotsman Peter Duffie and asked for his five picks from Effortless Card Magic. He offered the following When Random Cards Collide (page 19) Lie Stebbins ( and Lie Stebbins Plus ) (pages 51-55) The Magnet (page 96) A Popular Misconception (page 150) and Hofzinser by Stealth (page 139). Scott has the uncanny ability to jump from card magic to parlor magic with the same ease that most of us use to sing a song. And, by the way, he is also extremely versatile. In case some of you don't know, music is another thing that he likes to study. Contrary to myself, Scott has an ear for music while I simply have an ear for pencils. After Hours Magic: A Book of Al Thatcher Card Magic will be instantly available for you to download right after your purchase. No shipping fees, no delays, no waiting to get started.